Hannah-Rose creates atmospheres in which people feel safe to develop, explore and have fun. A well travelled and enthusiastic leader, Hannah-Rose teaches beautiful stirring songs from across the globe, in a fun and light hearted manner. She also teaches with her best possible clarity, integrity, and respect for correct sourcing and details of music and style. 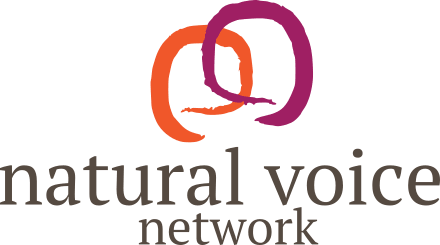 Hannah-Rose is full-time self employed as a choir leader, musician, performer, singing coach, vocal therapist, composer and yoga teacher. 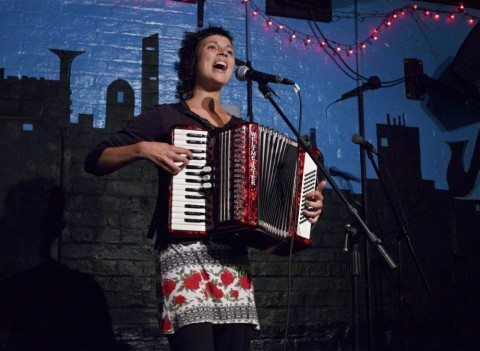 She plays a mean accordion and loves creative collaborative projects. Creative writing is also a strong hobby. Hannah-Rose’s training and qualifications include a First Class BA Hons in Dance and Music, Actor Musicianship at Rose Bruford, Natural Voice Teacher Training, Estill voice production, classical flute grade 8, grade 5 music theory, Kripalu Yoga teacher training 200 Hr, Pregnancy Yoga and Partner Yoga teacher trainings, and extensive work with Village Harmony and Northern Harmony choirs.